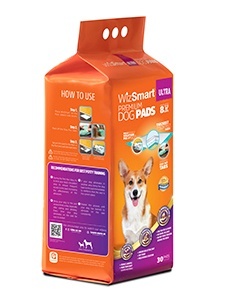 Have you tried WizSmart pads? Tell us about your pawesome experience! We love our four legged friends, but like to hear from our two legged friends too. We're passionate about keeping you and your dog happy! Send us an email with your questions, feedback or inquiry or give us a call at 1-866-99-PETIX (73849).